Did you know that only 13 percent of employees strongly agree that their organization's leadership communicates effectively with the rest of the team? Sure, this statistic is a little depressing. Who wants to work for a company that doesn't value clear communication, collaboration and a shared purpose? For many corporations, internal communications specialists are spread thin due to small team budgets. They communicate via outdated channels and send mass messages to the wrong people. Employees end up opening email that is either irrelevant to them, or they accrue piles of buried, important messages. Some firms still stick to bulletin boards, printed newsletters or clunky intranet systems. This lack of efficient communication makes it easy for employees to get disheartened and disengaged. But as it turns out, this communications deficit isn’t just taking a shot at morale — it’s harming your bottom line, too. 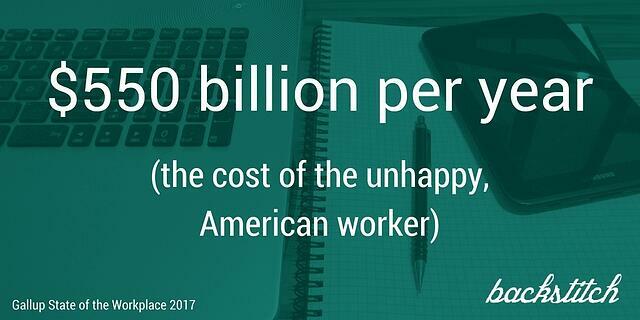 Gallup estimates that actively disengaged employees cost the U.S about $550 billion in lost productivity per year. And on top of that, the University of Texas discovered that corporations waste about $100 billion per year on idle workers. This means, employees who don’t have enough work to fill their time and are left with hours of meaningless idle time each week. Both of these problems — and more — can be mitigated with a dynamic, internal communications strategy. U.S. organizations spend significantly less time and money communicating to their employees than they do their customers. Although it’s understandable why you’d want to develop a consistent brand voice, it’s about time corporations began to develop their employee brand also. Targeted, comprehensive corporate communication reduces costly errors, retains and engages employees, increases enrollment in benefits and boosts productivity. Although it might be difficult to see the immediate financial results, a connected company is an economically healthy one when you’re playing a long term game. If you are a company with bad internal communications, we can help.